In finance and economics, FX arbitrage is when a person takes advantage of a price difference between 2+ markets. In other words, it is making a combo of matching deals that makes a profit from the imbalance. The profit is derived from deducting the one market price from the other. A person who uses the arbitrage technique is called an arbitrageur, this can be a brokerage firm or a bank. 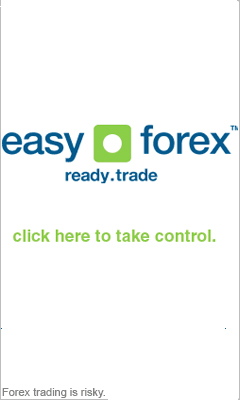 The FX arbitrage term is usually applied to financial instruments trading, i.e. stocks, bonds, currencies, derivatives, and commodities. If market prices don’t allow for profitable foreign exchange arbitrage, traders say that the prices constitute an arbitrage-free market. An arbitrage-free market is a precondition when a country wants to achieve a general economic equilibrium. 1. The same asset doesn’t trade for the same amount on all markets. 2. Two assets with identical cash flows don’t trade for the same amount. 3. An asset which future price is known doesn’t trade today at its future price and is also discounted at a risk free interest rate. Foreign exchange arbitrage isn’t just the act of buying a product in 1 market and selling it in another for a better price at a later time. Arbitrage transactions must happen simultaneously to avoid market risk exposure, and to avoid the risk that 1 market’s prices may change before the transactions are completed. Generally, this is only possible with financial products and securities which can be traded in an electronic fashion. In the simplest FX arbitrage example, any type of good sold in 1 market should then sell for the same price in another. Investors may, for instance, find that the price of corn is lower in farming regions than in towns and cities. They then buy the good, and take it to another region to sell at an inflated price. This type of price arbitrage is very common, but this corn example does not take into account the cost of transport, risk, storage, risk, etc. "True" FX arbitrage requires that there is no market risk involved. Let’s look at a simple example of foreign exchange arbitrage. Let’s say that the exchange rates (after deducting exchange fees) in Tokyo are ¥1000 = 12 US dollars = £6 and in Brighton are £5 = 10 US dollars = ¥1000. Converting ¥1000 to 12 US dollars in Tokyo and converting that 12 US dollars into ¥1200 in Brighton, for a profit of ¥200, would be FX arbitrage. In reality, this type of arbitrage so simple that it hardly ever happens, but more intricate foreign exchange arbitrages are more common.